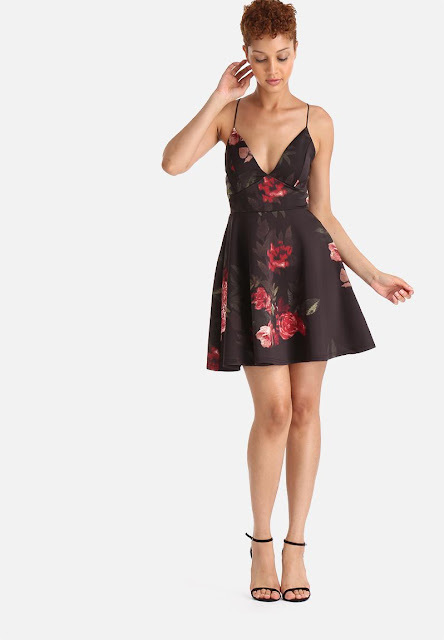 Floral prints will always work for weddings. I absolutely love how subtle this print is and it definitely complements the style of the dress. Skater dresses are also a winner because they are playful but still chic. I think office dresses should be kept simple but not too simple. It should be something that's comfortable yet not boring. I decided to go for this May shirt dress. I feel like a shirt dress is fun and the belt makes this dress a bit more formal and suitable for the office. All-white parties have been quite popular this season to a point where I am almost sick of them but the beauty of this dress has made me make an exception. There is so much detail in this dress and it is absolutely gorgeous. The lace makes the dress unique and the neckline just completes this dress. Loose fitting dresses were made for adventures. They are easy to throw on and are comfortable which is wonderful because all you need to think about is having a good time. This dress has a sporty feel to it and wearing with a plain pair of sneakers would create the ultimate sporty luxe look. The collar? I've only got one thing to say, AMAZING! What would I be thinking if I didn't include a little black dress in this post? You can never go wrong with a little black dress and it is suitable for just about any occasion. I love the style of the dress and it's simplicity too. As I like to say, you need to find a little black with a twist. The fringe just adds a little something extra to the dress without being overpowering. I love your choices! That white lace dress is so gorgeous! Such great choices! So many of these were options for my post as well! I guess we've got great taste! Ooh I see! You look great! Love love love that white lace - would be fab for a festival! The first floral one is gorgeous too, great picks! Right?! I wish I owned them!